** BUYER AND SELL HAVE AGREED TO TERMS. 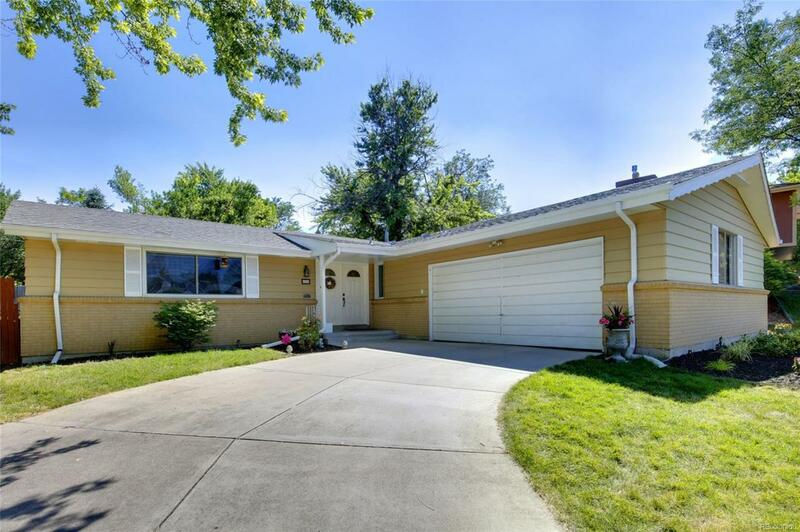 MLS STATUS WILL UPDATE WITH EARNEST MONEY RECEIPT** Wonderful solid ranch style home in sought after community of Bel-Aire. Lovingly maintained and tastefully upgraded and updated. New kitchen in 2017 with beautiful custom cabinets, new appliances, and quartz countertops. Newer double pane windows, sprinkler system, fenced yard, extended concrete patio. No HOA. Private neighborhood pool is optional with community events and block party. 1/2 mile from Trader Joes, Starbucks, TJ Maxx, and desirable restaurants. 10 minutes to DTC, easy access to Cherry Creek and Downtown Denver. Washer and Dryer are included. Walk to Highline Canal.